When the pressure is on, turning to a sugary treat or a delicious fat-laden mouthful can feel like an easy way to get a little relief, isn't it? 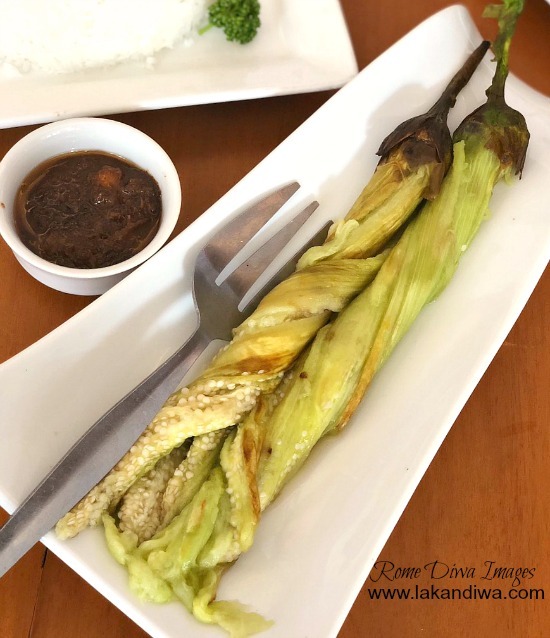 and what else is more comfortable than indulge in our classic Filipino favorite dishes such as Kuhol sa Gata (Snails in Coconut Milk) and Litson Kawali ( Crispy Pork Belly) with steaming hot rice on the side. 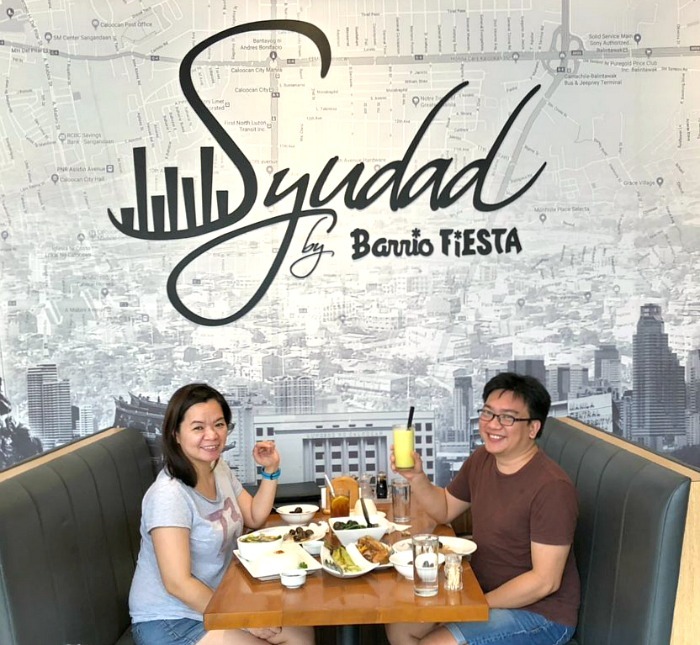 We've finally tried to dine-in at the Filipino inspired restaurant - Syudad by Barrio Fiesta located at the newly built Caloocan City Hall Complex. I was with my constant foodie buddy, Gladys who also live near Syudad's new outlet. We always do stress-eating when we're both needing some time to release all tensions from a week work and talk about our personal issues over delectable bites. Syudad by Barrio Fiesta has a spacious Pinoy-inspired charm and classic Filipino interior; wooden tables and chairs offers a rustic appeal. Customers like us, #ninangsofmanila who are tired and wanted to lean on a comfortable chair have an option to be seated nicely at the booth with cushion and backrest. 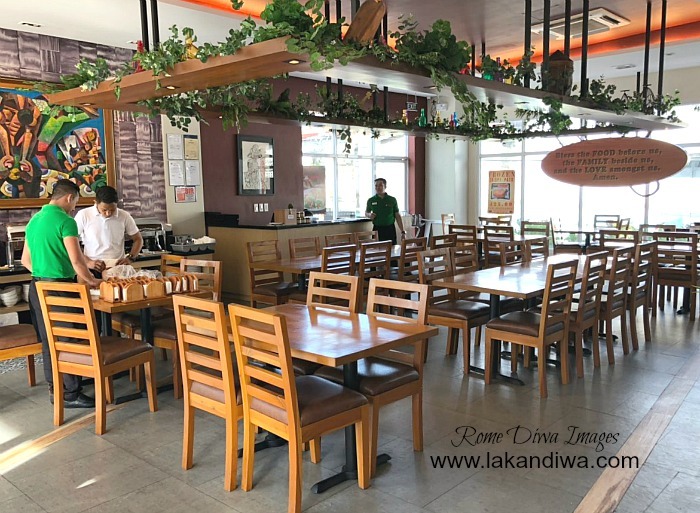 It was around 3 PM when we arrived and they were catering their merienda buffet but were pleased when they accommodated us for ala carte late lunch. Syudad by Barrio Fiesta's Merienda-all-you-can costs Php 185 per person from 3 PM to 6 PM serving Pinoy favorite merienda (snack) in case you are interested. 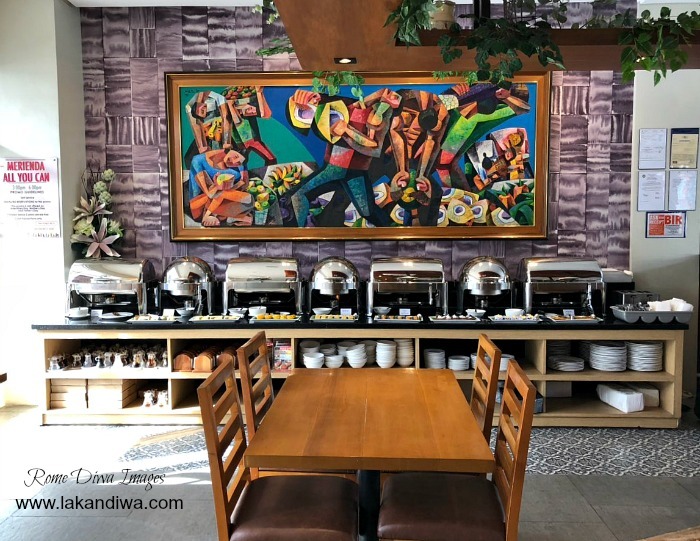 Extensive Filipino dish from Solo Meals list are constant favorite among their clientele, Solo Meals are served with rice and instant iced tea. Out of curiosity, we selected Kare-Kare from the list. 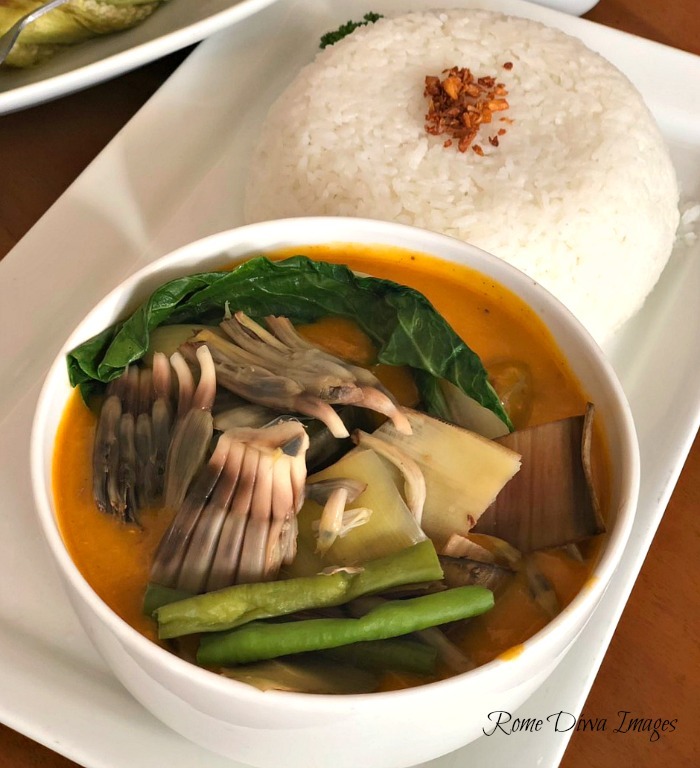 Kare-Kare is one of the restaurant's specialty and best seller but nothing spectacular to me. The sauce was thick but loaded with artificial flavor and color. I was expecting real peanut sauce but little bit disappointed, it was boring. Tender slices of beef and accompanying shrimp paste plus the large portion (can be shared by two) redeemed my respect. 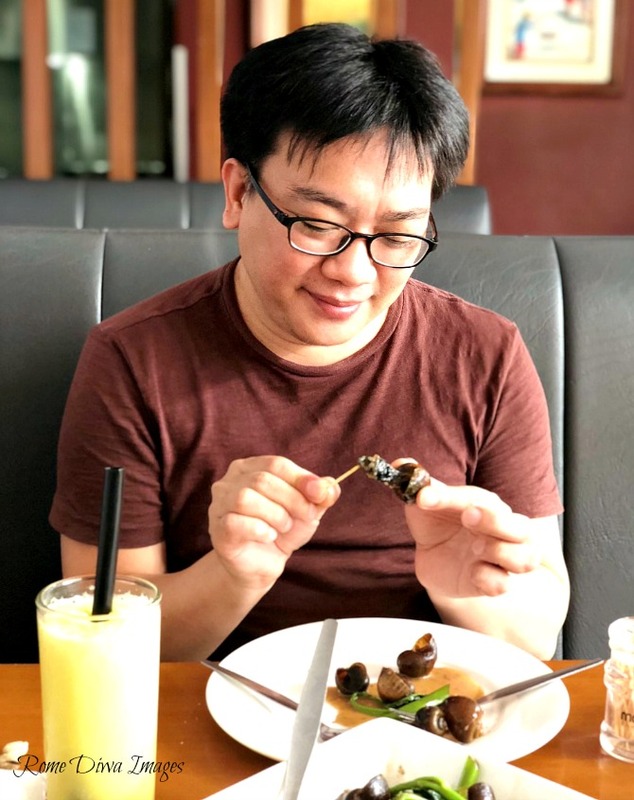 Syudad had got a buzz from foodies of Manila for their superstar dish, Crispy Pata - but we refused to try considering we already ordered too many just for the two of us. We agreed to settle for Litson Kawali to satisfy our greasy, fatty appetite. Surprise! surprise! it was the very best Litson Kawali I've tasted in my whole life! It's kinda pricey at Php 425 but I think its just proportional to its quality. 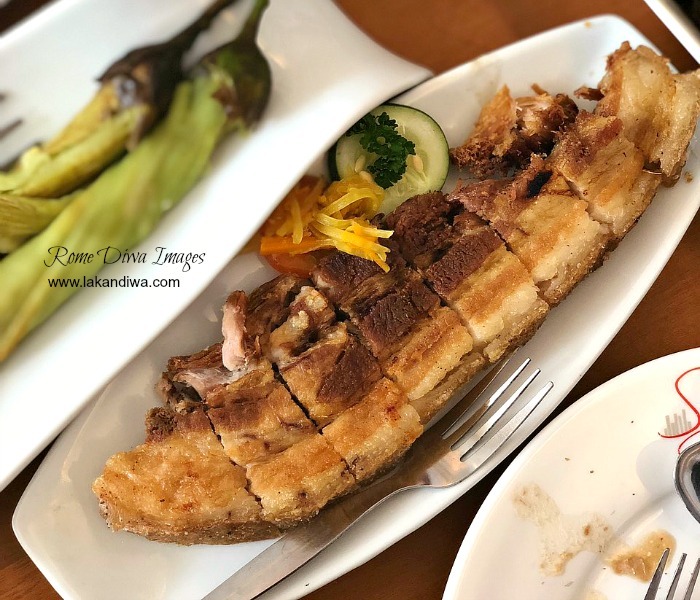 Succulent pieces of crispy and crunchy pork belly served its price. To me, its another Syudad's superstar dish waiting to be discovered and worth another try. We also ordered Inihaw na Talong for the sake of having vegetable on the table and to show compassion to our upset hearts, lol😋! 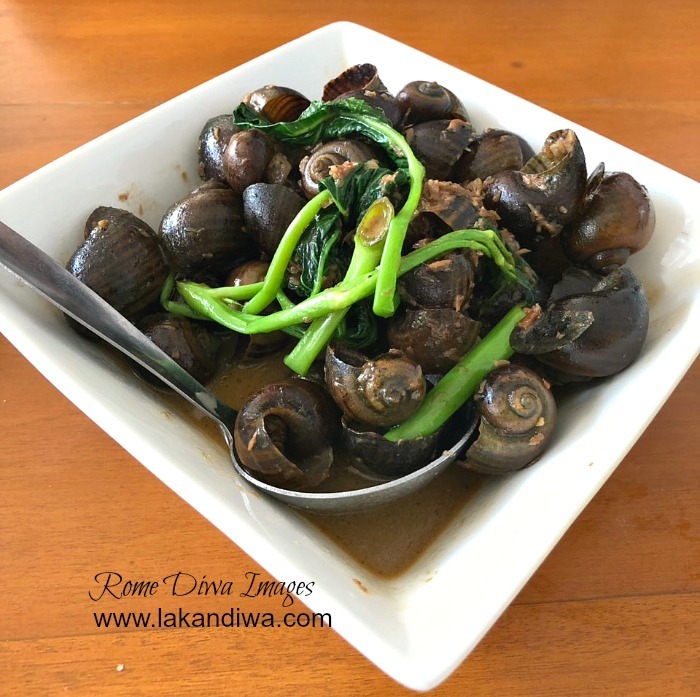 A very familiar dish, and a perfect complement to any fried or Inihaw dishes. Delish specially when dip into signature Barrio Fiesta Bagoong (shrimp paste). 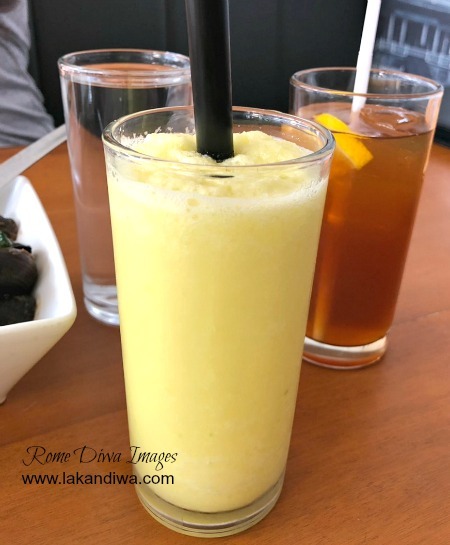 I had Green Mango Shake which I liked, which by the way, perfect anti-umay! 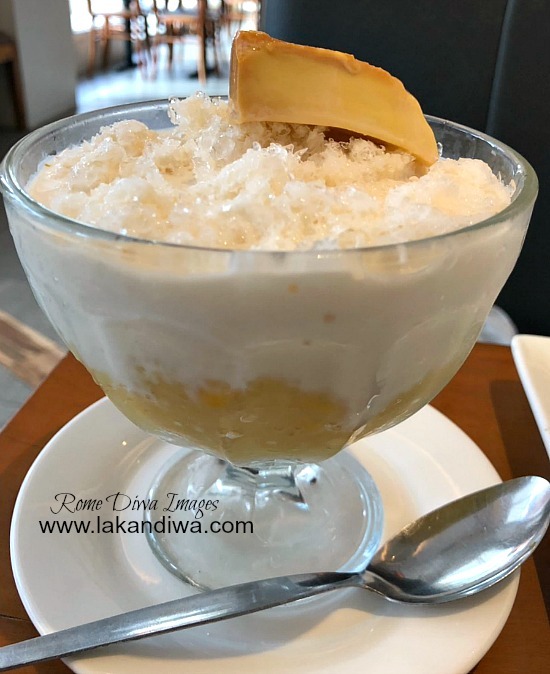 Thinking that she had a large belly space like mine, Gladys ordered Mais Con Heilo she barely touched. It was okay, she said, when asked how it tasted like. Overall, it’s a fun place to get together with friends, day or night. They have Beer Belly promo every Friday at Php 299. And if you’re not in the mood for venturing out they even do takeaway and delivery just dial (02) 7016572 or 09560680189 from your mobile.